New IMBA website launched to better serve it's members and the Marine Biotechnology community. 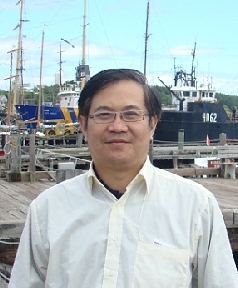 Dr. Song Qin, Chinese Academy of Science, Yantai Institute of Coastal Zone Research, has been elected to serve as the next President of IMBA. Dr. Qin, who has served on the Board of IMBA for many years, will take over the presidency at IMBC 2019 in Tokyo, Japan. The European Marine Board (EMB) has released its latest Policy Brief on Marine Biotechnology: Advancing Innovation in Europe's Bioeconomy, which has been developed in collaboration with the Marine Biotechnology ERA-NET (ERA-MBT). The Policy Brief presents the latest advancements, opportunities and challenges of marine biotechnology, as a fast growing Blue Growth area with diversified applications to human health and well being. It also summarizes key thematic areas from the ERA-MBT Marine Biotechnology Strategic and Innovation Roadmap: Insights to the future direction of European marine biotechnology, published in 2016. IMBC 2016 early abstract submission available.